The thing about newborn photography is that you just can’t reason with your subjects. You can’t bribe them with treats, or make them giggle at funny noises or jokes. You have to just work around their moods. And most newborn babies can be little divas. Lately it seems to be a trend…babies who do not want to sleep. At all. But when my job is to capture beautiful newborn portraits of them in those first few days of life, I still have to produce. So we spend a lot of time waiting, feeding, rocking, and then hardly breathing as we put the babies down, try to pose them, and snap photos before they realize what is happening. This sweet little boy (seen in this belly here) really wanted to avoid any sleeping photos. But I was more patient! We had to get some images of him snuggled in his grandmother’s precious quilt like we did with his big brother. He never got to meet her, but he can always wrap that quilt around him like a hug. And one day, he will be very happy to have these images of what he looked like when he was fresh and new and tiny. 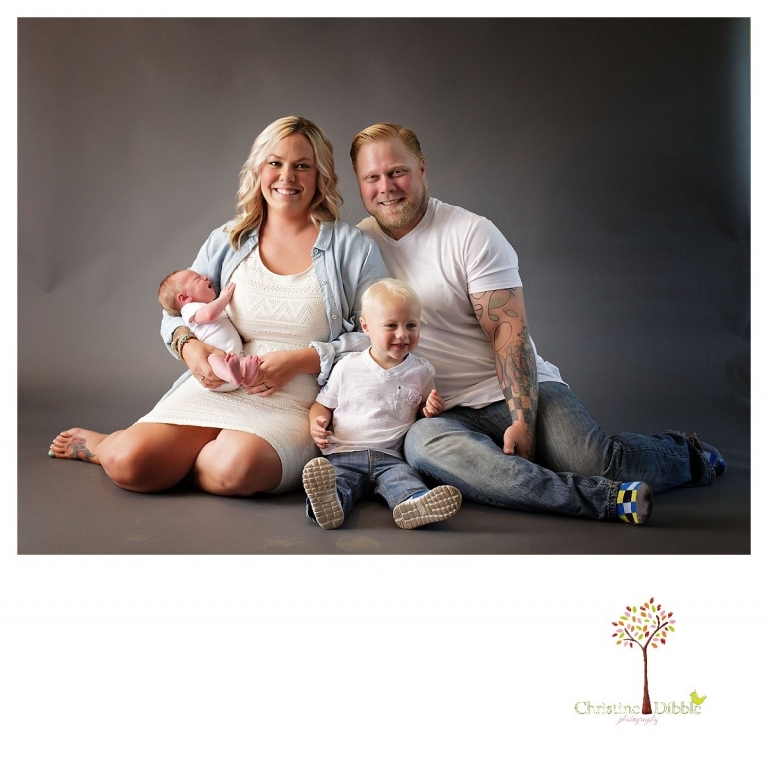 Samantha - What an adorable studio family portrait session! I love the quilt that the baby is on for their backdrop and lying on in the basket. Grey backgrounds are definitely one of my favorites though. Doru - Such quite family !! I am always impressed with you Sonora newborn photography! This time is no exception! I love every single photo and the black and white ones are just WOW!! Once again you did such a beautiful job on creating these amazing memories for this Sonora family! Doru - Hi Christina, I just saw that I’ve made a typo. I wanted to write cute family! Please feel free and edit my words! Alysse - Sonora is so lucky to have you had their go to Newborn Photographer! | see you have a great passion for photographing babies! Michelle Morgan - Christine Dibble Photography alwsys does a magnificent job on her newborn photography. I love your studio sessions along with your outdoor ones. Megan - The great quality of light in these newborn images is spectacular! I love how soft and warm they are with rich colors too! Cute cute family with newborn photos too, great work by this Sonora Newborn Photographer as usual!